To make this happen (arguments about music optional), simply call up the Spotify chat extension when you're in Messenger. Down at the bottom of the Spotify sharing panel is an option to create Group Playlists. Give it a name, and share it with the group to get started. Anyone in the chat can add a song by calling up the Spotify extension and searching for a track. This is a change to the Spotify extension, not the Messenger app itself. Therefore, no update from Facebook is necessary. This should work across all platforms, too. 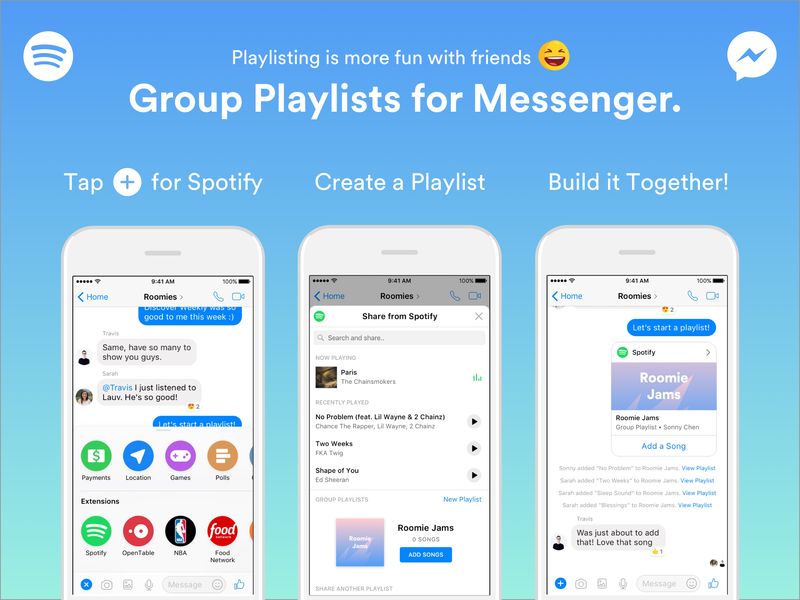 You can get started by becoming acquainted with the Spotify Messenger bot.